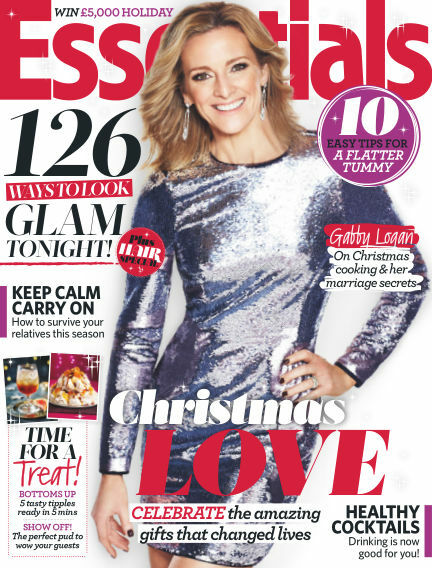 In this issue of Essentials : Essentials is the must have lifestyle magazine aimed at modern women with busy lives. At the heart of Essentials' success is its celebration of the reader. Featuring only real women on the cover, Essentials celebrates their lives throughout the magazine; it entertains, encourages and inspires them to be amazing. From gorgeous affordable fashion to step-by-step beauty and uplifting reader success stories, the broad range of content makes Essentials a must have ‘friend' and an affordable treat. Essentials' unique pull out and keep ‘Make it Easy' section is a key editorial feature. It offers readers a feast of easy and mouthwatering recipes for weekday dinners, food for friends, baking and puds as well as lots of ideas and tips for gorgeous modern crafts and home and garden style, all of which enables them to have fun while trying something new. Value for money is a core priority for our ‘savvy shoppers' and Essentials offers inexpensive style solutions as well as the best offers and promotions. Always supporting the reader to live better and feel good, we are the positive choice for women in this crowded market. With Readly you can read Essentials (issue January 2016) and thousands of other magazines on your tablet and smartphone. Get access to all with just one subscription. New releases and back issues – all included.